A large percentage of my life has been dedicated to the pursuit of a whole picture of God that captures the full dimension of both the theology and practice of life in Christ. I would find valuable pieces within different traditions, but it often felt like I had to copy-and-paste to gain the whole picture I longed for. That is why 10:10 is so special for me. It represents the different elements that collectively comprise a whole vision of life in Christ. It is something that I have been compiling for over a decade, and I believe it will serve as a catalytic faith mechanism for anyone hungry to know and serve God in a deeper way. Michael Wear, Writer, Speaker, Founding Partner of Values Partnerships, and former National Faith Vote Director for the White House faith-based initiative. In John 10.10 Jesus proclaims that he has come to bring life in all of its fullness, a promise that taps into humanity’s deepest desire. But for a large number of Christ followers, this promise seems beyond our reach. Trapped between our longing and our reality, we are faced with a dilemma. What do we do when we have fully submitted our lives to Jesus, yet still carry this gnawing sense that something is missing? 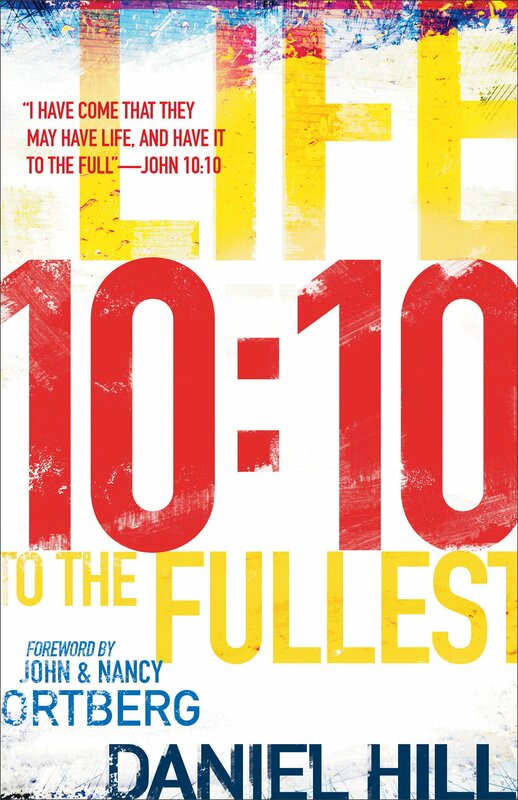 “10.10: Fullness of Life” makes the case that what’s missing is… faith. This may sound paradoxical at first glance because faith is the one common denominator amongst Jesus’ followers. But the ultimate question is not whether we have faith – that’s a given – the question is whether we have a vibrant life of faith that is holistic, transformational, and multidimensional. Is faith in Jesus simply a doorway to salvation, or is it a path toward fullness of life? Hebrews 12.2, which concludes the richest section on faith in the Bible, says that the secret to finding the holistic, multi-dimensional faith that we so desperately long for comes by, “fixing our eyes on Jesus, the author and finisher of our faith.” The pathway to that fullness of life comes through faith, and Jesus is actively involved in every step of that process. The word used for “author” (also translated as “pioneer”) leads to imagery used heavily throughout the book. As the author of our faith, Jesus takes our individual story and writes it by faith into the larger, redemptive story of God. As the pioneer of our faith, Jesus leads us into this rich life of faith through a step-by-step journey that depends on an interactive and intimate connection to him. All that is needed is clear instruction on what that path looks like. Dimension 1: Faith & Fear – It can be argued that there is no greater threat to a life of faith than fear. When we minimize, disregard, or ignore our fears we correspondingly threaten our faith. That is why the single most repeated command in the Bible is “fear not.” Fear sets the limits of your life, and it throttles our capacity to boldly respond to Jesus as he leads us to new dimensions of experience. Jesus wants us to become the people we were created to be and step into the life that was designed for us. Fear obscures that fullness of life, so Jesus intentionally and repeatedly brings those he loves to the intersection of fear and faith. Jesus’ desire is not to avoid or eliminate fear, but instead to deepen our faith to overcome fear so that we can follow him anywhere, anytime. Dimension 2: Faith & Intimacy – The most important outcome of a life of vibrant faith is to experience spiritual intimacy with God. Spiritual intimacy was the defining mark of almost every hero of faith listed in Hebrews chapter 11, including Enoch, Noah, Abraham, Moses, Joshua, and David. All three dimensions of faith are important and interrelated, but spiritual intimacy with God is the glue that holds them all together.As the author of our faith, Jesus both creates full access, and then helps us to navigate the complexities of connecting deeply to an invisible and unseen God. Dimension 3: Faith & Mission – God is a God of mission. God is redeeming and renewing the world, and every follower of Jesus is designed with a unique contribution to make to the advancement of the cause of Christ. Too many Christians live without an everyday awareness of this opportunity, or they are led to believe that faith is only about their personal experience. In either case, the end result is a faith that stagnates. As the pioneer of our faith, Jesus leads us step-by-step into a life of mission, and there is nothing more exciting in the world. It is only when we follow Jesus into mission by faith that we become fully alive and step into the life he has designed for us. The reason why you see them on windswept moores/hillsides is that crops cannot practically be grown there. I just the kindle version on Amazon and am very much looking forward to reading it.